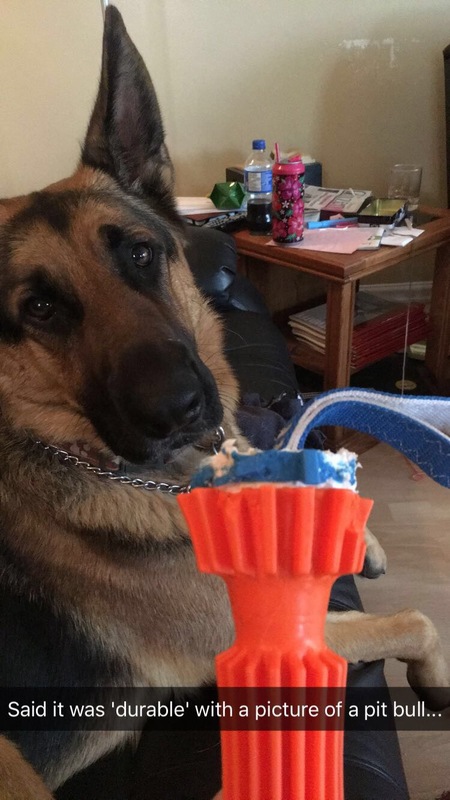 Do you have a dog that seems to destroy every single toy you give to them? I do! Of course you all know my almost 2 year old German Shepherd, Bomber, he’s a chewer. Most toys don’t last very long in our house. Usually he gets a new toy, plays with it for a while then one day, decides it’s that toy’s day to die. Jared was out of town for training and Bomber was very sad, so I bought him a new toy to try and lift his spirits! Don’t worry, I swept and threw out all of the bits before he could get back to them. 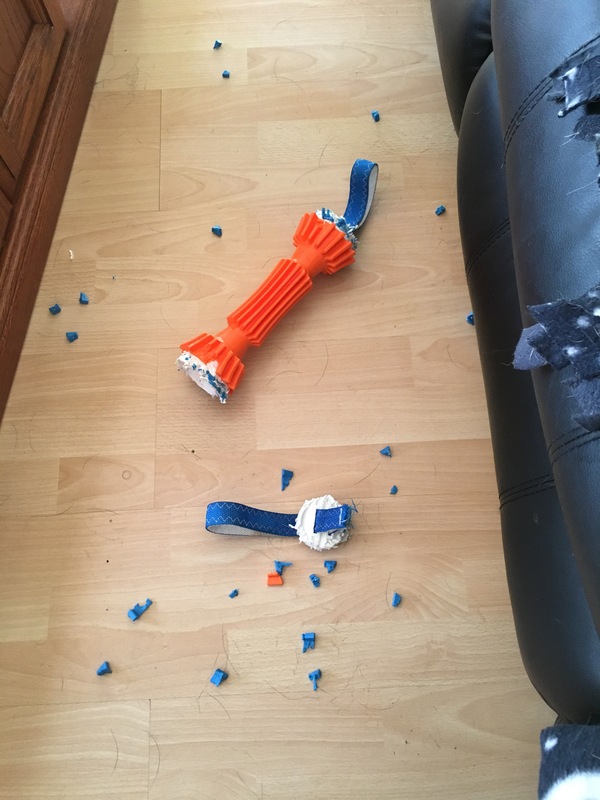 Unfortunately, the handles of this toy were just held on by a ring of hot glue, so I’m not sure how two dogs would have been able to tug on this toy long! When it comes to Chuckit! Products, this one is definitely not my favourite, it was not very durable at all! 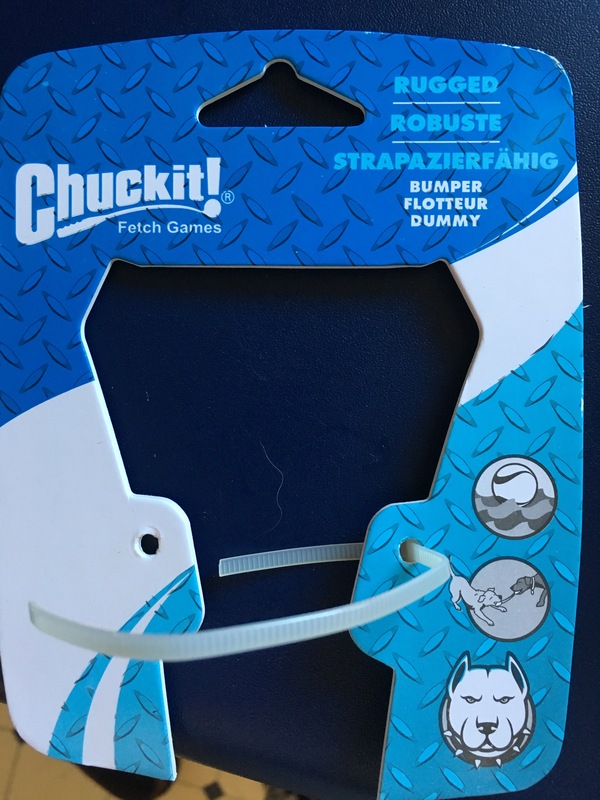 What are YOUR favourite durable toys for heavy chewers? Let me know in the comments! Have you checked out my Tips for Owning a German Shepherd? Previous Post Pregnant Diaries – what’s in YOUR hospital bag? Next Post Pregnant Diaries – SAMPLES! If Bomber wasn’t so toy motivated (rather than food motivation) I’d have minimal toys in my house! And just have bones and chews lol but he doesn’t really care for them!